Charles Spragg signs a deal with the University of Wisconsin. Photo: Supplied. 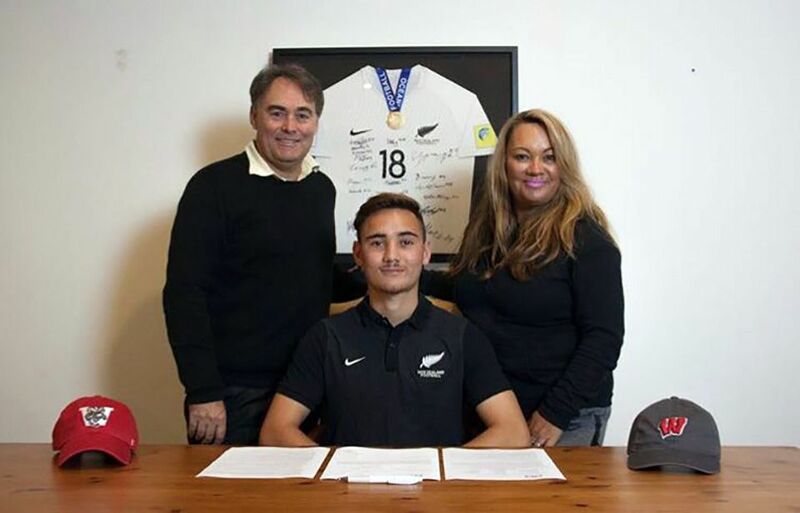 Young Kiwi star Charles Spragg will take his talents to one of the top 20 football universities in the United States. 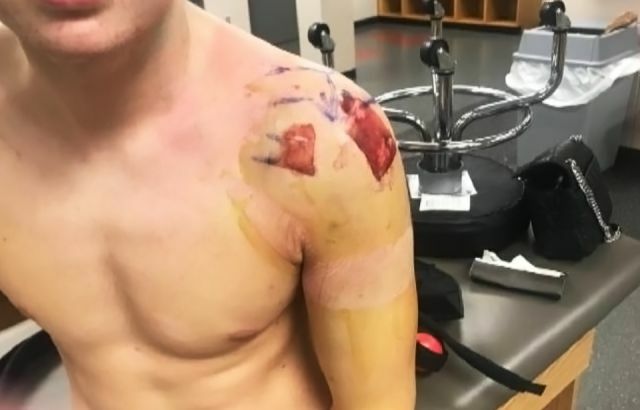 The 18-year-old will travel to the University of Wisconsin in July to begin his four-year scholarship with the Badgers. In doing so, he will be following in the footsteps of his older brother Thomas, who played for the University of Washington, and was a “big time help” in solidifying Charles’ decision to take the “American route”. “I felt that Wisconsin was the best place for me to further my football career and is also a great place to study,” he said, explaining it made sense to pick Wisconsin. Mr Spragg attributes his involvement in the New Zealand under-17 World Cup squad last year as a key factor to his recognition among college coaches and scouts internationally. The former St Kentigern College, Western Springs, and Eastern Suburbs striker has high hopes upon his arrival on campus in Madison. 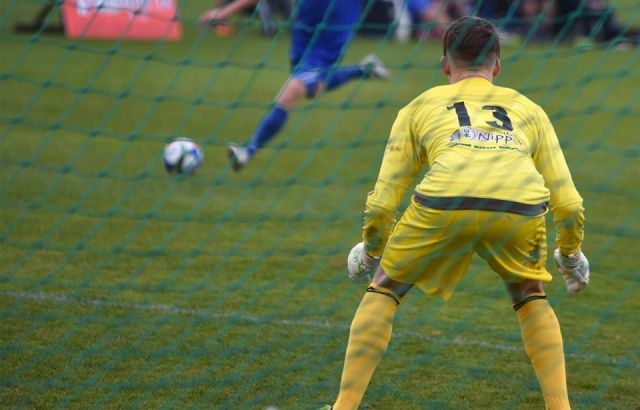 With an eye on professional football after his college career, Mr Spragg believes his time in the American university system will enhance his development and help him achieve his life-long dream of representing the All Whites. “The major goal for me is to become a professional footballer. I think Wisconsin and the American route could be a good platform for that.